Anyone who doesn't know Yeng Constatino?! I am guessing you were born only yesterday. Even kids and toddlers know her songs and sing them in the school fairs. 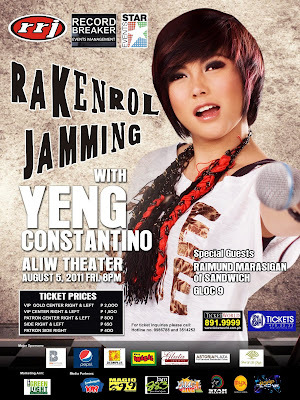 Too bad I only get to watch her and hear her song in ASAP, and I am just soooo sad that I won't be here in Manila for her Second Major Concert entitled Rakenrol Jamming with Yeng Constatino on August 5, 2011 at the Aliw Theater. Yeng is a product of reality-based tv show, Pinoy Dream Academy winning the Grand Star Dreamer award, and now she is known as the Pop Rock Princess of the Philippines. After her winning, Star Records launched her first album entitled "Salamat" which reached Gold Record, Platinum Record and 3x Platinum Record in just several months. Maybe it helped that the album carried 7 original compositions (out of 10) which highlights her talent. If I would list all her awards here, I am afraid I would reach my blog's maximum character count. Let me just say that she bagged almost all awards from the recent Myx Music Awards. MYX Music Awards 2011: "Favorite Female Artist "
MYX Music Awards 2011: "Favorite MYX Celebrity VJ"
Interesting enough, I found out that Yeng is not just a singer and an artist, but a DIRECTOR too. She directed Jaime Rivera's video for the song "Letting Go". She has also elevated music production with a new DVD album entitled Yeng Versions Live which compiles OPM songs from 70s to 90s with songs from Florante, Eheads, Blue Jeans, Apo, Yano and more. I am sure even mom and dad can relate! Please like Yeng Constantino's Facebook Fan Page and catch her with Tutti of 6cyclemind and Gee Canlas at MU Live! Too bad I won't be able to see her, hear her (and maybe meet her?) during her second major concert on August 5th. 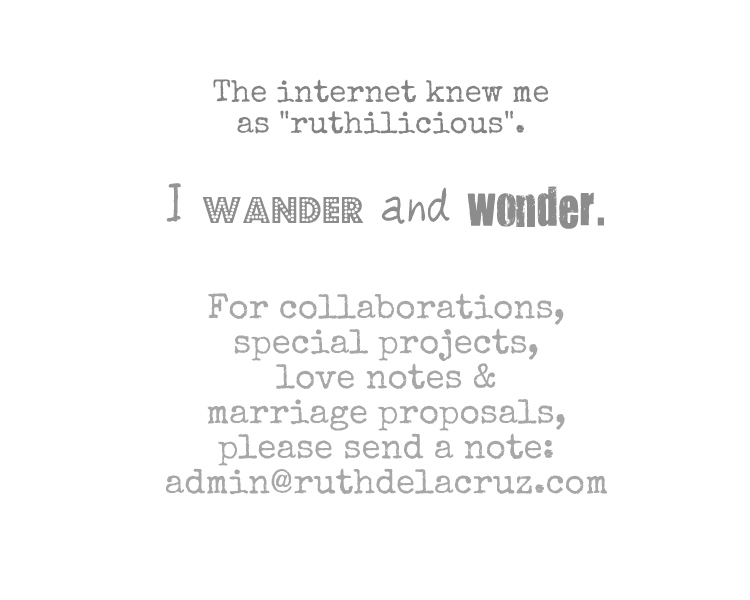 I would just await pictures, and blog reviews as she rock the stage with Raymund Marasigan of Sandwich (it's going to be wild!) and Gloc9 (I am not sure if she'll do a little rapping).